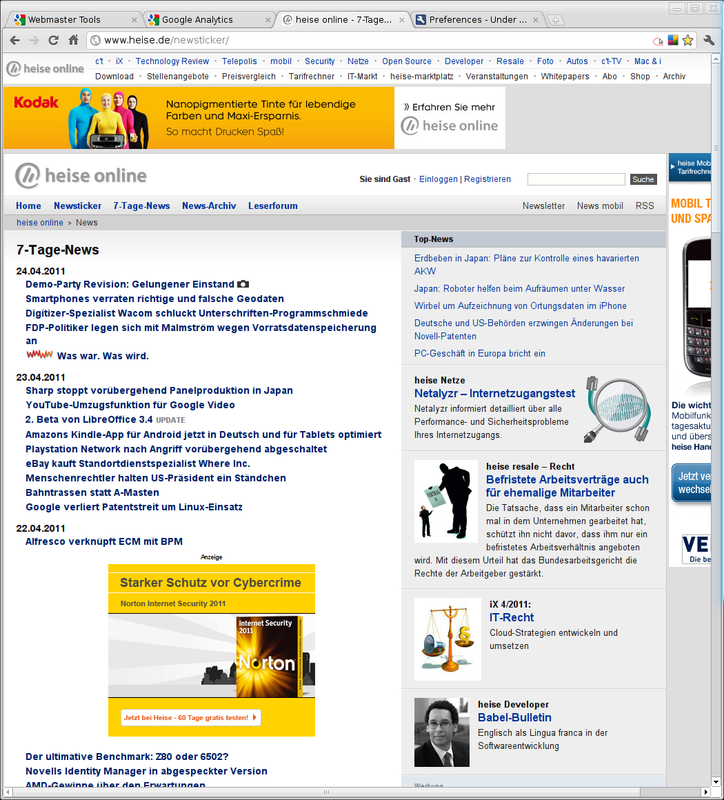 If visited with an unmodified browser, the Heise page is dominated by ads of mostly enervating character. 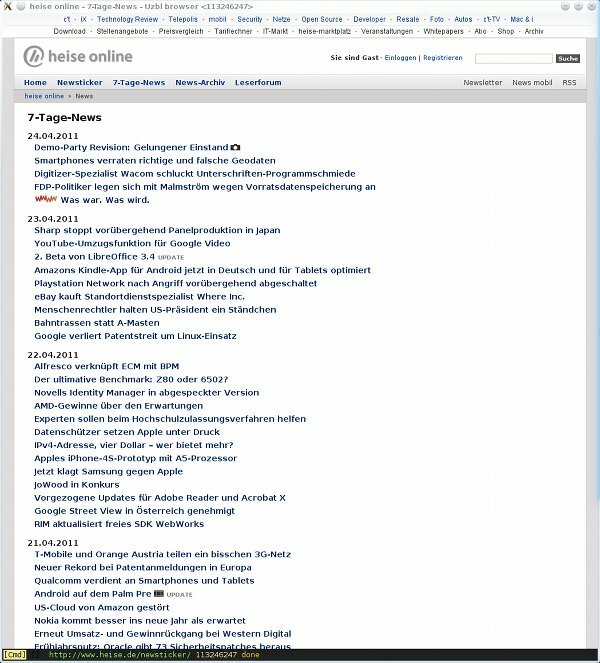 Consequently, essentially all visitors of the Heise pages employ ad- and script-filters of some kind, a strategy explicitly recommended in publications by Heise for security reasons. Despite these recommendations, Heise recently started a campaign aimed specifically at users of the Adblock+ filter for Firefox, trying to convince them to forfeit their self-defense and to abandon all their ad filters. The obvious contradiction as well as the technical shortcomings of the campaign resulted in its complete failure (when, as in my case, ad blocking was performed by other means, the Heise "personal message" even remained invisible). The resulting mockery is well deserved. Heise doesn't realize that their greatest asset is the very crowd they just try to scare away. It's not only the ads, also the infamous redesign of their web presence a couple of years ago contributes to its remarkably poor usability and the resulting frustration of its users. Fortunately, this crowd is persistent and does not give up easily. Most users of Firefox will be familiar with the extensions Stylish, Greasemonkey, and Linkification. The former two allow the installation of userstyles and userscripts which may profoundly modify the appearance and usability of a website such as heise.de. 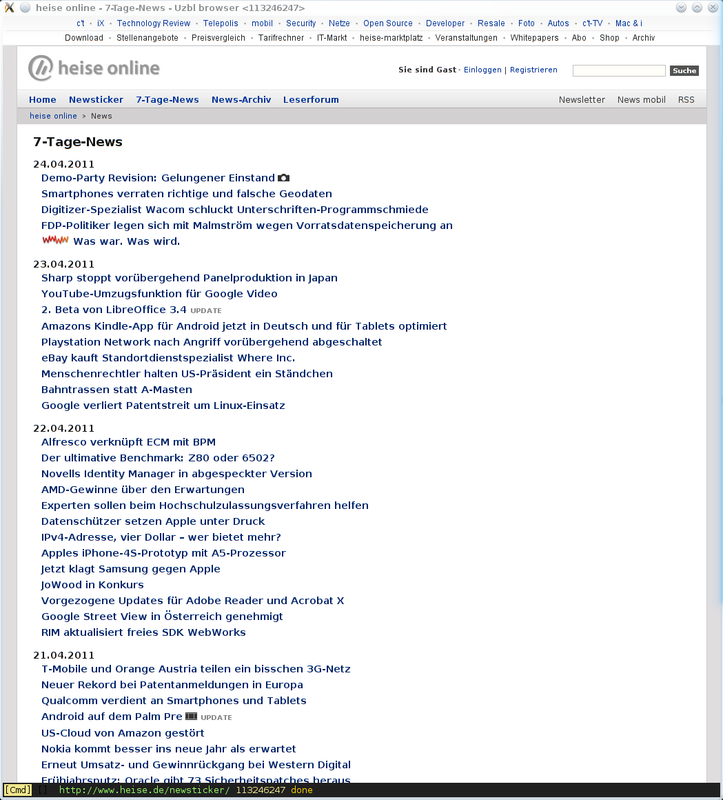 The latter turns the inactive links in the heise forum in active, clickable ones.